If there is a staple desert in Georgia, it has to be a good old pecan pie. Whether you use Karo syrup, molasses, or brown sugar, pecan pie is a must on Thanksgiving and Christmas tables in the south. Did you know a pecan isn’t truly a nut? It is actually a drupe which is a fruit with a single pit. Now that you’ve gotten your fun fact for the day, here is our resident baker Amy to share her story behind this yummy colorway! 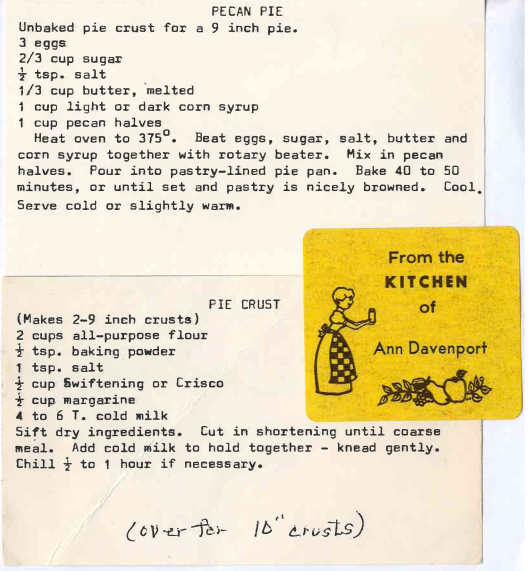 My Grandma’s original recipe – yes, she used a typewriter! Fall is my favorite time of year – cool weather, changing leaves, football tailgating, but I especially love Thanksgiving. There’s no pressure to give gifts or come up with a costume. It’s a time for family, good food, and peaceful reflection. One of the things that I am thankful for is the pecan pie recipe that my Grandmother left behind. She made the most delicious crust and the shimmery filling mixed perfectly with the pecans. But she didn’t exactly leave a cookbook. After she passed, we spend months scouring her house for her top secret recipes stashed in multiple places. For the everyday recipes, she had a neatly alphabetized recipe box for anyone to find but the good stuff was hidden. We now know that she even lied about the ingredients when people asked so hers would always be the most delicious. I suspect she also loved the spotlight of family ooo-ing and yum-ing over her confections. I now make her pecan pie for Thanksgiving each year and smile remembering my sneaky yet charming Grandma. 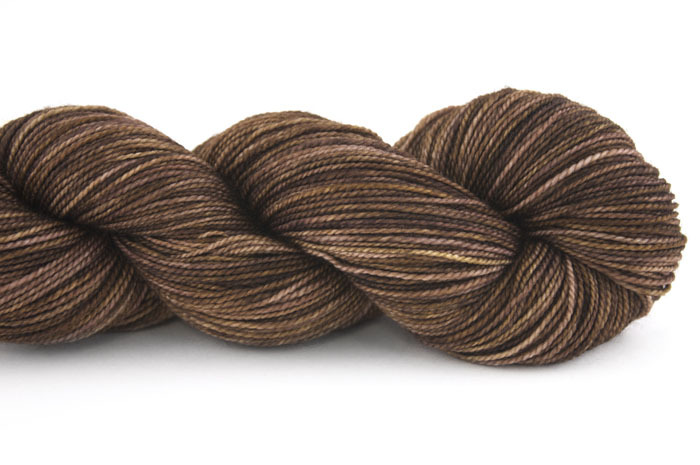 Pecan Pie is available in the following bases: TML, Pashmina, Tosh DK, Tosh Vintage, Tosh Sock and Twist Light.